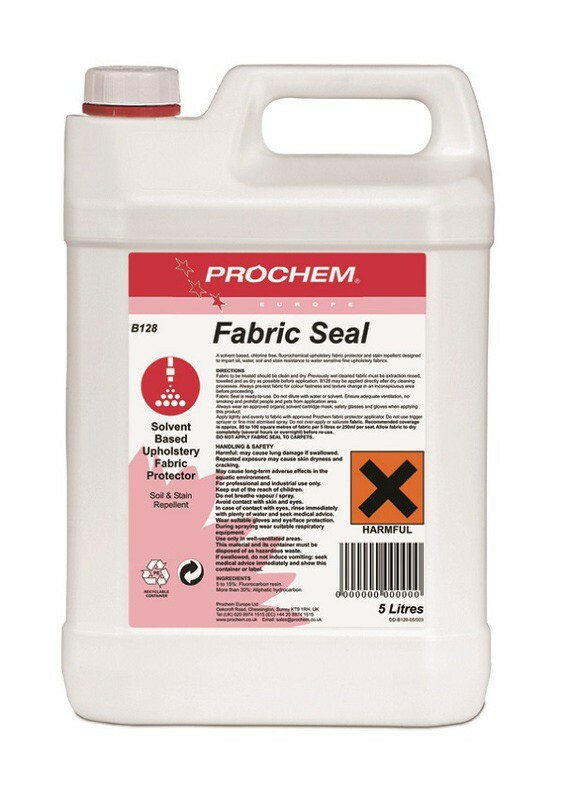 Prochem Fabric Seal is a solvent based, chlorine free, fluorochemical upholstery fabric protector and stain repellent designed to impart oil, water and stain resistance to water sensitive fine upholstery fabrics. Solvent based upholstery fabric protector. Full case pack size 4 x 5ltrs. Fabric to be treated should be clean and dry. Previously wet cleaned fabric must be extraction rinsed, towelled and as dry as possible before application. 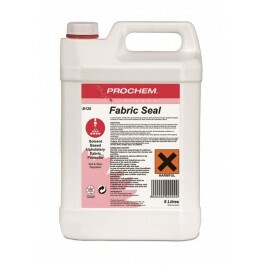 Prochem Fabric Seal may be applied directly after dry cleaning processes. Always pre-test fabric for colour fastness and texture change in an inconspicuous area before proceeding. Fabric Seal is ready to use. Do not dilute with water or solvent. Ensure adequate ventillation, no smoking and prohibit people and pets from application area. For extended applications an approved organic solvent cartridge mask, safety glasses and gloves are recommended.